“The freshwater turtles really need all the help they can get” (Australian Reptile Park- ARP). In 2017, the Manning River Turtle was titled an Endangered species after the speed of its disappearance from the waterways of the Manning River in the mid-north coast of NSW, became alarming. It has a distinctive appearance, with yellow markings on its neck, yet is rarely seen. 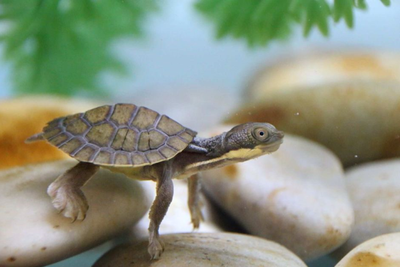 In New South Wales, there are three turtles that are found nowhere else on Earth, living only in their own rivers. Aussie Ark general manager Tim Faulkner explained that "the Manning River turtle is one, the Bellinger River turtle is second, and the third is the Bell's turtle, over in the McDonald River and Namoi [River] and again very range restricted. All three are endangered." Living in such a restricted area means the turtles are extremely vulnerable to habitat loss, predation, lack of genetic diversity, and sickness. “Their ability to recover from a catastrophic loss of adults caused by disease, poaching or other causes is likely to be limited,” the NSW Scientific Committee Preliminary Determination found. Predation is the biggest threat to this turtle, with the introduced fox and feral pigs being the main issue, feeding on eggs, young turtles, and even mothers as they lay their eggs. According to the NSW Scientific Committee, similar turtle species nest sites in the area have been predated by up to 90%. Degradation of habitat, human interference and poaching are also cited as reasons for the decline in the turtle population. “Nesting site eggs are destroyed and eaten by foxes and pigs, females are predated by foxes while they are laying their eggs, and then throw in habitat destruction, the erosion of banks and nesting sites, stock impact and pollution," Mr Faulkner said. 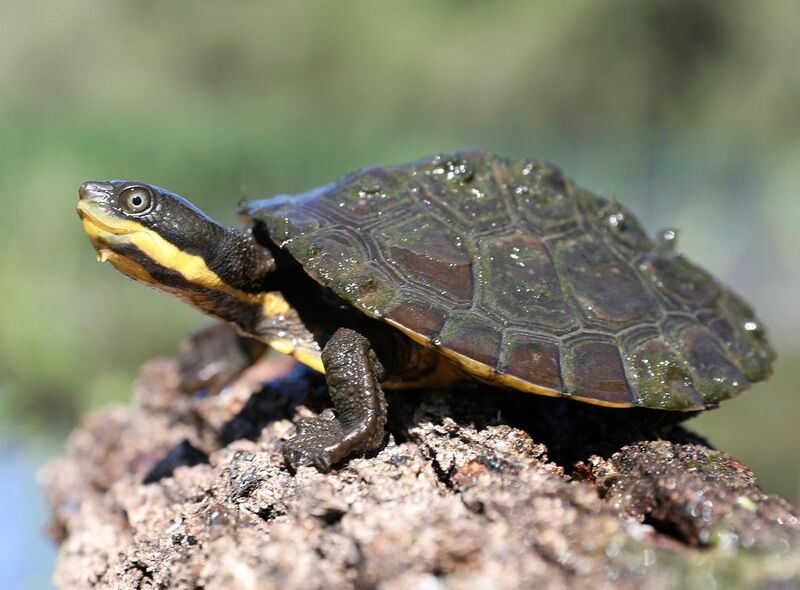 In addition to the conservation, along with the NSW Office of Environment and Heritage, ARP and Aussie Ark will be monitoring the status of the wild turtle population, protecting nests and conducting land management. Once the captive breeding has been established and increased, the turtles will be released back into their thriving natural habitat, to ensure the species remain ecologically functional. At AusTiger, we are proud to continue to support organisations like Australian Reptile Park, Aussie Ark and Devil Ark. They do incredible things for our animals and we honestly don’t want a world where animals are pushed to the brink of extinction. They can't be brought back. We hope that our little bit of support to this awesome locally based organisation helps in some way and we’re looking forward to hearing more about their efforts to save the Manning River Turtle whose natural environment is within a two hour drive of our office.